The award-winning wines are made in the traditional Champagne method, from classic grape varieties and spend around three years on the lees before being released to the public. Quality control is paramount throughout the whole process – from the design, planting and tending of the vineyards to the actual production of the wines. An elegant sparkling rose, with delicate flavours of rosehip, redcurrant and cranberry, that will continue to evolve gracefully for many years to come. A complex but accessible wine with delicate and concentrated red summer fruits – a blend of 80% Pinot Noir and 20% Chardonnay. A delicious wine with a compellingly ‘moreish’ character. Elegant, focussed and nuanced, it is on fine form and is really coming into its own now. A sophisticated English sparkling wine, made in the Champagne Method from traditional grape varieties, by winemaker Dermot Sugrue. Finding the right winemaker can be like finding the perfect partner – sometimes you must kiss a lot of frogs before you find your prince. Simon Bladon got lucky because he knew exactly who he wanted to make his wines at Jenkyn Place – and he didn’t even have to give Dermot a kiss. “I tasted my first English sparkling wine at a furniture auction in the Nyetimber vineyard back in 2003,” Simon remembers. “It opened my eyes to the potential of making high-quality fizz in England. 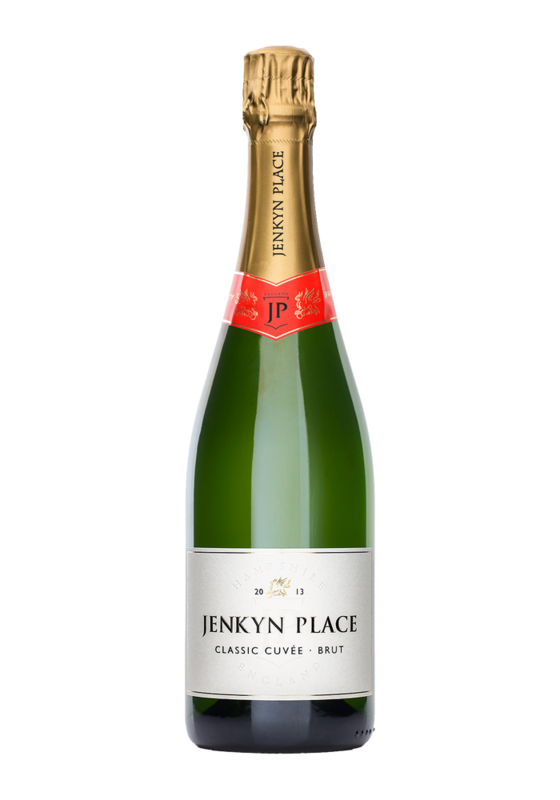 When I found out that Nyetimber was growing its grapes on the same kind of greensand soils that our family has at Jenkyn Place then an idea began to form in my mind. I asked Stuart Moss, the owner of Nyetimber, who its his winemaker was who had made that wine. It was Dermot Sugrue." Once the grapes are harvested from our vineyards, the fruit is taken by winemaker Dermot Sugrue to his base at Wiston Estate, where he weaves his magic to produce our award-winning wines. Our sparklers are made using the same traditional method as in France’s Champagne region. The second fermentation – the one that adds to bubbles to the wine – takes place inside the bottle. “It is clear that exceptional wines – loaded with mouth-filling fruit – are consistently achievable, but they need time and patience to produce, often requiring at least five years ageing in the bottle before truly coming into their own,” explains Dermot.